Parenting time and custody decisions in Arizona are made to guarantee the best interest of the child. In order to provide such a guarantee, a court will have to determine whether a parent is fit or unfit. Whenever parents cannot agree on custody issues, the decision will be left to court. This is when the fitness of both parents or guardians will have to be assessed. Usually, a thorough child custody evaluation will be carried out. The safety and the well-being of the child are the two primary considerations and the fitness of parents will be examined on the basis of those. Let us see who are unfit parents as defined by Arizona law. The legal definition of a fit parent is a primary caregiver who can provide for all of the child’s needs (food, shelter, medical care, hygienic needs, education, emotional support, etc.). In essence, a fit parent is a person who can take care of their children adequately. Usually, this is a person that does not take drugs or abuse alcohol, a person that hasn’t been convicted of domestic violence or abuse. 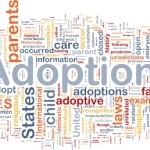 The relationship between parent and child, as well as the living conditions the respective parent can ensure will be examined by a custody evaluator to find out whether living with the parent is going to be in the best interest of the child. Keep in mind that fitness can be very hard to prove. On occasions, signs of being unfit to take care of a child will not be readily discoverable. Evidence of unfitness may come in the form of medical records or police reports. Domestic violence and abuse, however, will often be hidden. 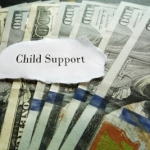 Thus, a custody evaluator has a very difficult job, regardless of the fact that multiple factors are going to be examined in order to establish unfit parents as defined by Arizona law. The custody process will involve multiple important considerations. Fit parents know how to set age-appropriate limits for their children and how to ensure proper upbringing. Something as simple as the time at which the child goes to bed in the evening could be used to find out if a well-established and healthy routine is already in place. A good understanding of the child’s needs and how these could be addressed by an adult is also in the foundation of parental fitness. The history of childcare so far, the relationship the child has with the respective parent, how family conflict has been handled up to that point, if there is evidence of abuse/violence, if there is history of mental illness and the attitude of the child towards the respective parent will be accounted for when fitness is being assessed. An evaluator will ask for certain documents and they may also ask to observe the interactions between child and parent. Interviews with teachers, pediatricians and nannies could also be carried out to paint a complete picture. What Does It Take to Prove Your Former Spouse is Unfit? 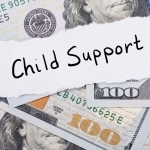 If you believe that your former spouse is not a fit parent, you will probably demand sole custody. What does it take, however, to prove to the Arizona court that your ex is unfit to be a parent and a custodian? The process could be lengthy and challenging. The most important thing you will have to do is gather evidence to prove unfitness on the basis of at least one of the criteria mentioned above. You may also want to schedule an evaluation with a doctor and a therapist to see your child. This is especially important in cases of suspected child abuse or neglect. Proving that an ex is unfit isn’t the same as bashing them in court. In fact, adopting such an approach could backfire. You need solid evidence and expert testimonies to prove that spending time with your former spouse is not in the best interest of the child. If you can provide sufficient evidence to back up such claims, the fitness of your ex will be questioned in court. Always consult an experienced divorce attorney for child custody issues. 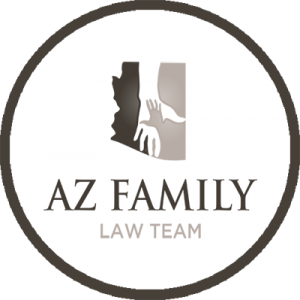 What is Emancipation of a Minor in Arizona?